Twenty of Britain’s leading savings and investment firms, brought together by TISA, have launched KickStart Money, a first-of-its-kind initiative that calls for effective financial education to become a compulsory element of the National Primary School Curriculum. Money consciousness and attitudes are set at the age of seven, according to research from the Money Advice Service. However, financial education remains absent from primary school teaching, and significant proportions of the UK population lack the basic skills and knowledge to effectively manage their money. So KickStart Money has been developed as a mechanism for the financial services industry to proactively and collectively transform the long-term savings behaviour of the next generation. KickStart Money’s prime delivery partner is the highly respected and award-winning financial education charity MyBnk. Miss Field of Wimbledon Park Primary talks about how her Year 6 class responded to MyBnk’s financial education workshop attended by Stephen Hammond MP. “KickStart Money is a great programme working to combat the rapid decline in the UK’s saving culture by promoting financial literacy at the crucial age when attitudes towards money are formed. It was fantastic to see the KickStart Money programme in action today and the impact that it is having at Bevois Primary School in my own constituency of Southampton Test”, said Dr Alan Whitehead MP. “It was fantastic to visit KickStart Money at Wimbledon Park Primary, where this valuable life skill is taught at the age when attitudes towards money are formed”, said MP Stephen Hammond as he experienced first-hand how KickStart Money is improving financial education for the next generation. 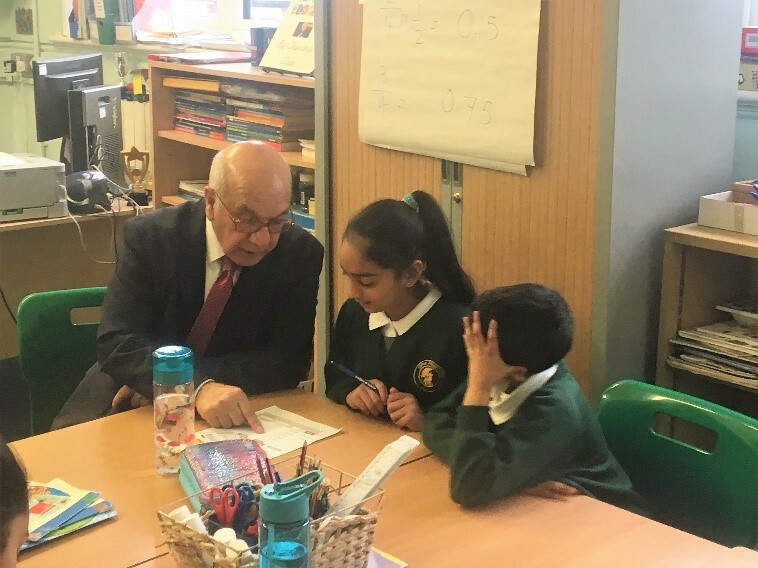 MP for Ealing Southall Virendra Sharma visited Clifton Primary School in Southall to witness how its students are taking advantage of KickStart Money’s financial education programme. Mr Sharma joined a class of 9-10 year-olds as they learned about understanding the value of money, needs vs. wants, saving and budgeting. In December, KickStart Money concluded an exciting year with a visit from the Chancellor of the Exchequer, Philip Hammond. KickStart Money arranged for the Chancellor to visit Lyne and Longcross Church of England Primary School to see how children in his constituency are benefitting from our financial education programme. Sixteen of Britain’s leading savings and investment firms, brought together by TISA, are to launch KickStart Money, a ground-breaking collaborative project that aims to initially invest £1 million to take financial education to nearly 18,000 primary school children, in a movement to build a national savings culture for the future. Where's the best place for children to keep their money in a world of new tech?